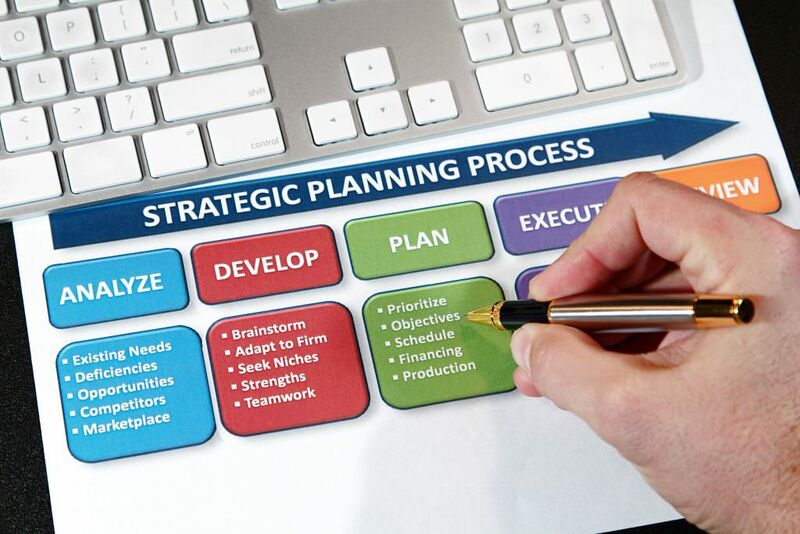 In accordance with the Government Performance and Results Modernization Act (GPRA) of 2010, U.S. federal agencies must update their strategic plans every four years, no later than the February one year after the start of a new presidential term. As election day nears, many agencies, including the National Science Foundation (NSF), are beginning to think about their strategic goals and objectives for the next few years. Recently, NSF solicited feedback from the science and engineering (S&E) community to inform its FY 2019–2023 strategic plan, which will build on its 65-year history and current strategic plan for FY 2014–2018. Nexight Group’s Ross Brindle explained in a blog post on growth strategies that every organization wants to grow, but the challenge most organizations face is that it is not easy to identify pathways to achieve this growth. That’s why we were pleased to see NSF solicit feedback from the S&E community to help develop a plan with the greatest probability to successfully achieve this growth. Leveraging our experience with strategic planning and our expertise in materials and manufacturing, we prepared comments on NSF’s current vision, core values, strategic goals, and strategic objectives. Ultimately, we strived to provide constructive, comprehensive feedback aimed at enabling the Foundation to make an impactful case to Congress and the Administration for additional investment in areas critical to our nation’s future. We have included a brief overview of our comments for NSF’s 2019–2023 strategic plan below. Our feedback centered around three key aspects: the need for improved data management and infrastructure; transdisciplinary approaches; and coordination across academia, industry, and government. Our full comments and feedback are available here. The S&E community has struggled to maximize the value of data for many years. Technological advances in basic S&E are increasingly dependent on our ability to effectively generate, manage, and share scientific data. Big, open data is a crosscutting issue impacting the ability to meet and enhance NSF’s current strategic goals. Important aspects of data are specifically stated in the current NSF Strategic Plan: “Strategic Objective 3: Provide world-class research infrastructure to enable major scientific advances,” and “Priority Goal 2: Improve the nation’s capacity in data science by investing in the development of human capital and infrastructure.” Therefore, data and infrastructure are indispensable components for synergistic activities between NSF and the S&E community. Tomorrow’s big S&E questions will increasingly require transdisciplinary approaches to generate new insights. NSF’s recent announcements, such as the “10 big ideas for future investments,” support this observation. Nearly all of the ideas cited involve integrating a wide range of disciplines and scales of research and development to transform fundamental sciences and meet critical societal needs, leading to transdisciplinary research from interdisciplinary and multidisciplinary research settings. Armed with these existing interdisciplinary programs, we urge NSF to apply such transdisciplinary approaches to its 10 big ideas for future investments in its new Strategic Plan. Coordinated, concerted approaches with NSF leadership—including the National Science Board, NSF’s directorates, and staff—and numerous stakeholders are required to successfully develop, execute, and manage NSF’s new Strategic Plan. Though the Office of International and Integrative Activities at NSF supports joint activities such as partnership development, expert engagement, communications, social impact studies, special types of analyses, open innovation, and project and program management, it is not easy to harness NSF’s diverse expertise to pursue the best solutions for the S&E community. To this end, we suggest NSF consider strengthening its collaborations with intermediary subject matter experts from professional organizations, technical consultancies, or supply chains. Nexight Group is supporting a number of government agencies, academic institutions, and the broader S&E community to create and refine their strategic plans by applying proven facilitation methods and diverse strategic planning techniques to more quickly meet their goals.